When travelling around with family and friends, you want to make sure that everyone is protected in case of an accident. 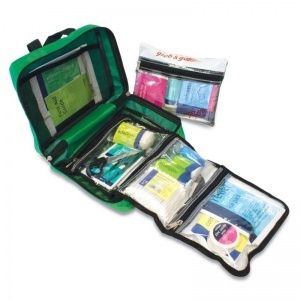 The Two-in-One Multipurpose First Aid Kit is a universal piece of equipment suitable for use when camping, caravanning, travelling or during outdoor sports. 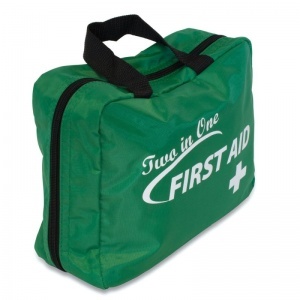 It is good to be equipped with an extensive first aid kit to accommodate for any incident or injury. This multipurpose kit is not only great for use in the home, but can be easily stored in the car or suitcase to take with you during travel. What can you Expect from the Multipurpose Kit? The materials of this kit are contained in a large green bag full of comprehensive content to carry out appropriate aid. It also comes with a smaller, separate grab-and-go bag for quick assistance during emergencies. The Two-in-One Multipurpose First Aid Kit is usually dispatched via First Class Royal Mail and delivery should be within 1 to 3 working days.